Two book reviews in a row, sorry friends. I am working on a rather large stitching project (sshhhhhhh! It’s a secret! ), and have also been working on finally making Mr M his Christmas Comox Trunks…. but I haven’t finished them yet soooo……….. Here we go. 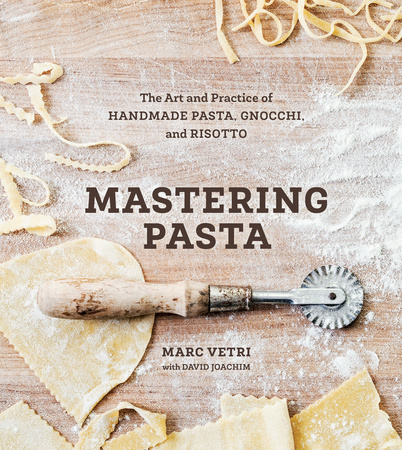 I chose this book because having read the excerpt and a few sample pages, it looked like it was written by a real pasta lover, someone who could really inspire all sorts of wondrous Italian creations out of my kitchen. I have previously had a little tiny book on pasta making, which I bought just after I got my pasta rolling attachment for my KitchenAid. But while it had a lot of variety of types of pasta, it lacked much guidance on how to actually do it. Therefore the pasta roller got used only occasionally, kind of does the job, but I feel like it could be so much more! And I really LOVE pasta. The book is divided up into sections, beginning with of course an overall introduction by the author describing his love for the craft of pasta making, and then each section begins with a short introduction to set the scene, with a little background and history (I do love reading all the background and history). It then finishes with a section on Stocks, Sauces, and Other Basics. As with my previous review, I thought I would give (part of) one of the recipes a go, so thought it was finally the day to make Gnocchi! Ohhh readers…… let us learn together. Read the recipe in advance, not when you are too hungry to do it properly! 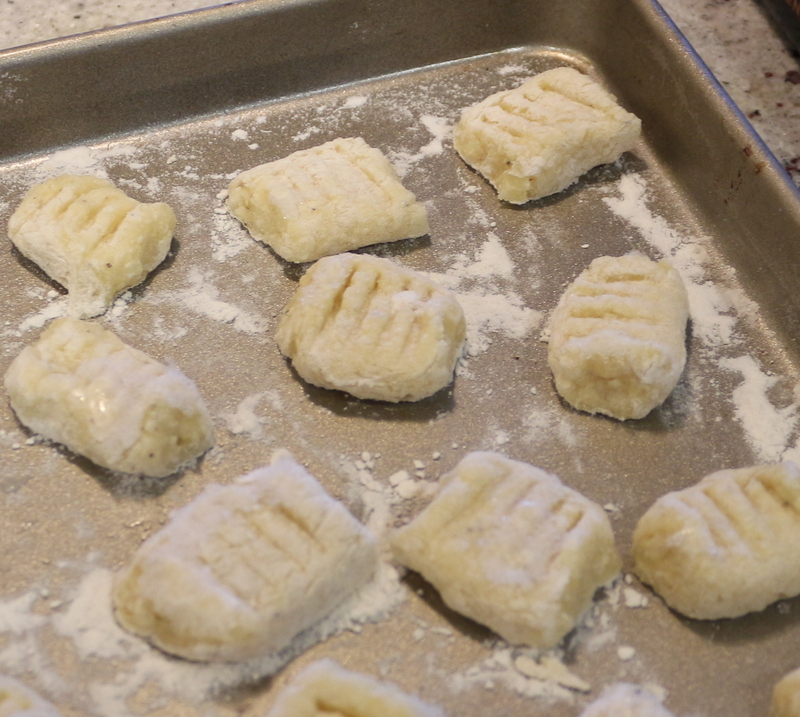 It states to chill the formed gnocchi in the refrigerator for 8 hours….. We didn’t. They disintegrated on cooking. Although it could also be a problem with the dough, but I left Mr M to follow the instructions, and he can’t help but put extra cheese into everything. Woe was us. …. but yes. Disintegrated. Never fear, we just had some quite delicious potato mush (with a few random intact gnocchi), with a bit of basil pesto. On the whole I think it is a nicely written book, and the author clearly loves to talk pasta, and I feel inspired to have another go. I will try and resist buying a pasta extruder to give the non-rolled recipes a go… But I promise nothing. As a bonus treat, you can find one of the recipes for Pappardelle with Rabbit Ragù and Peaches here. Don’t say I never give you anything! I am determined to give them another go sometime. I do love them a lot, and they tasted great, just I guess the dough may have been a little loose/non-chilled!